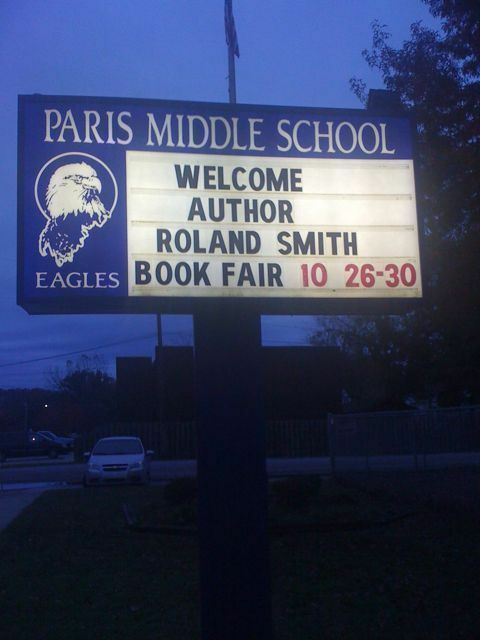 I’m at Paris Middle School today speaking to 3rd thru 12th grade students with the very cool librarian Anne Canada. It feels like an international visit with all these names. Yesterday, on the way here, I drove by London, Arkansas. I wonder what the story is behind the big city names for the small towns? Mystery solved… One of the men who founded the area wanted to name the town, Marysville, after his blind daughter, Mary, but there was already a Marysville in Arkansas so he named it after his favorite European city, Paris France. (Anne the librarian looked this up for me). Paris was the site of the last sanctioned public hanging in Arkansas before the first electric chair was installed in Little Rock. The hanging took place in July 1914. 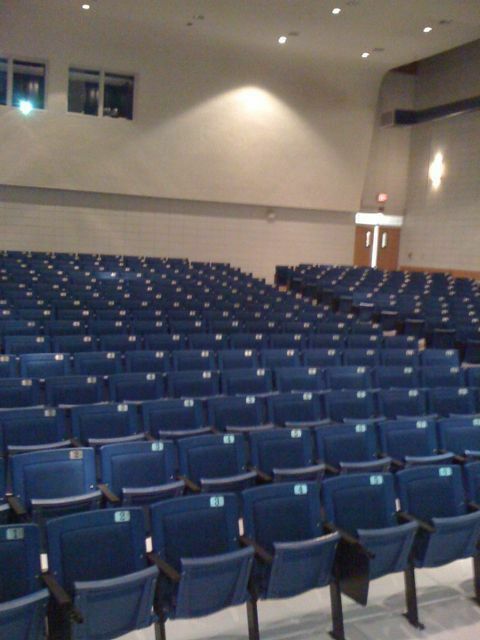 They have a wonderful auditorium in this school…best set up this week. Outstanding art from the students and a binder of illustrartions in a binder from the teachers. 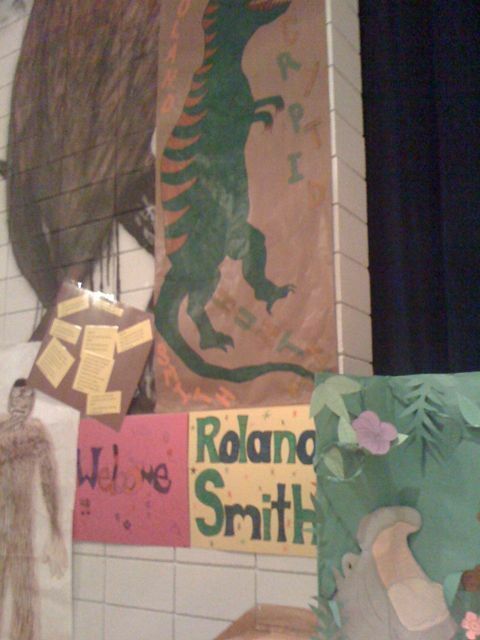 Thanks Roland Smith for coming to our school. You inspired me to write a book based on relationship. I see my friends them have relationship alot and now i wonder how it feels so i’m gonna start to write a book. Also the alphabet book that we gave u. 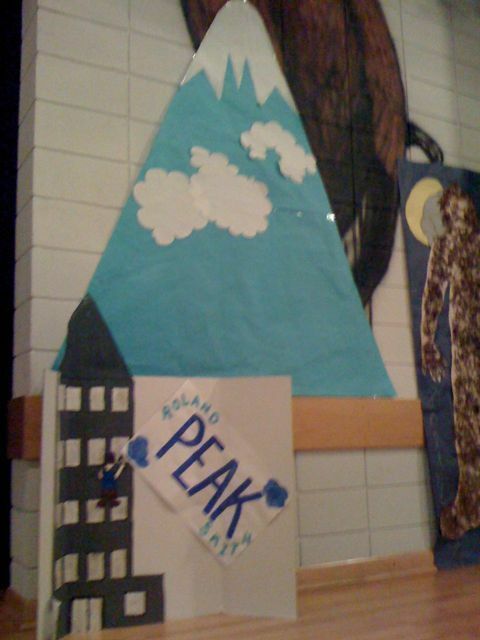 My table had to do “H” so we were putting alot of effort into it and i hope u like the drawing of the mountain. I tried my best to draw the cover of Peak for it but i’m not an artist so sorry. Also u were really funny. I hope i get to read Tentacles if i spelled it right before christmas so i hope i get to the book. Also keep writing good books.